Philosophical and literary interest in the writings of Soren Kierkegaard, sparked in 1879 by the publication of the first biography about his life and work, lasted well into the late 20th century. In the United States, that interest was sustained by the efforts of Princeton University Press, which published the first well-edited and designed translations for American audiences. Kierkegaard’s philosophy, recounted in the form of dramatic, quasi-novelistic writings, influenced a generation of young American post-war writers. 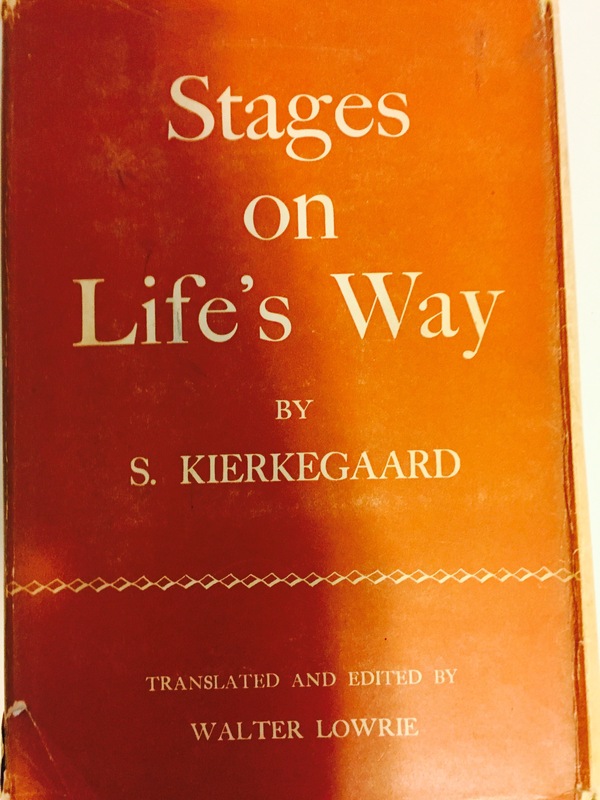 Below is a very rare copy of the 1st U.S. edition of Kierkegaard’s “Stages on Life’s Way.” Translated by Walter Lowrie, a Princeton professor and Episcopalian theologian, this book was first published in 1940. It was followed by a second, more popular and commonly found edition in 1945. I have been unable to locate a comparable copy of this 1st 1940 edition on-line or in communication with friends and colleagues. Several copies of the U.K. edition, issued by Oxford UP, can be found on line, but without the dust jacket. The price range for those editions, which sometimes include the second 1945 edition, is between $40-$100 US dollars. If anyone can tell me more about the history and scarcity of this rare 1940 edition, please contact me.